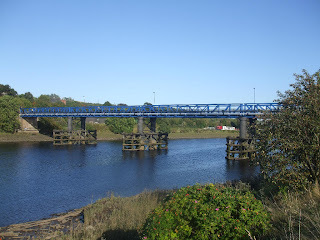 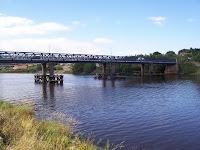 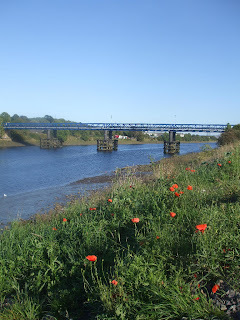 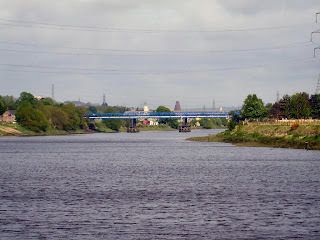 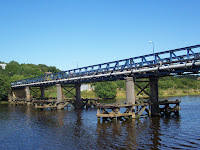 The bridge was built in 1893 for the Newburn Bridge Company by Head Wrightson of Thornaby-on-Tees and designed by Sandeman and Moncrieff of Newcastle. 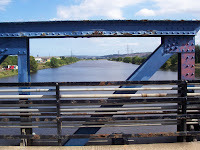 It is a steel lattice-girder structure and there are four spans, and it has very deep foundations of over 70 feet below high water. 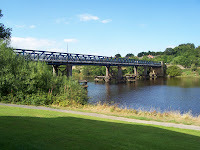 Originally a toll bridge, it was bought by Northumberland in 1947. 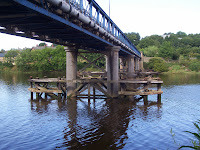 The toll house was at the north east end but has been demolished. 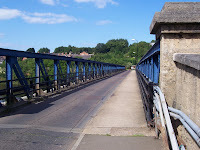 Water, gas and telephone cables are also carried over the bridge. 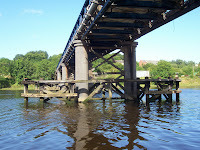 In 1960 a weight restriction of 9 tons was placed on the bridge but when it was narrowed to single line traffic this was raised to 10 tons.